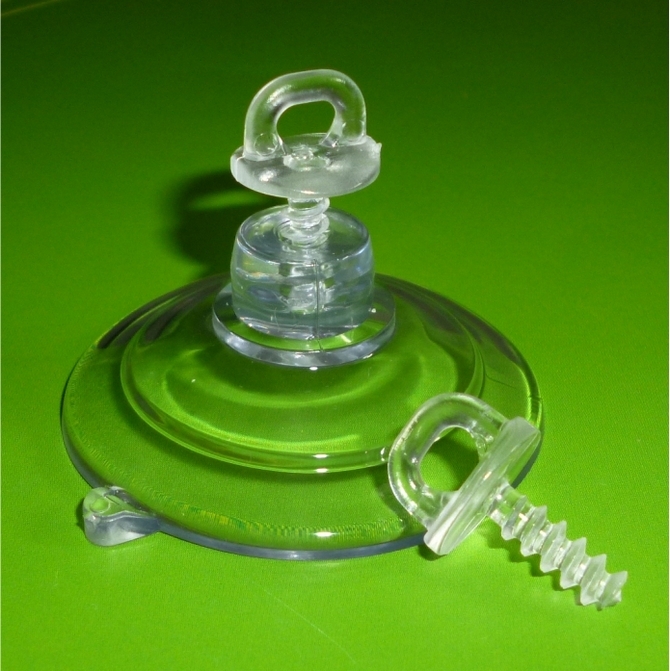 Suction cups with thumb screw for posters. Suction Cups Direct. 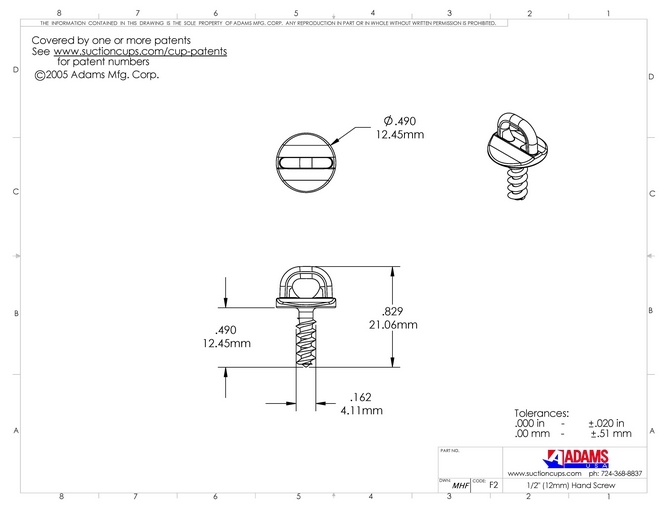 Adams Suction Cups with clear plastic thumb screws attach products up to 7.5mm in thickness. They are ideal for hanging signs and posters on windows. This suction cup can be fixed to glass or any other flat, clean, dry, slick/shiny non porous, non textured surfaces like mirrors, glossy plastic, plain glazed ceramic tiles or car bodywork etc. for other applications. To fix a thin board - snip a little off the end of the thread with a finger nail cutter before using the screw to attach an item so that it does not pierce through the bottom of the cup. 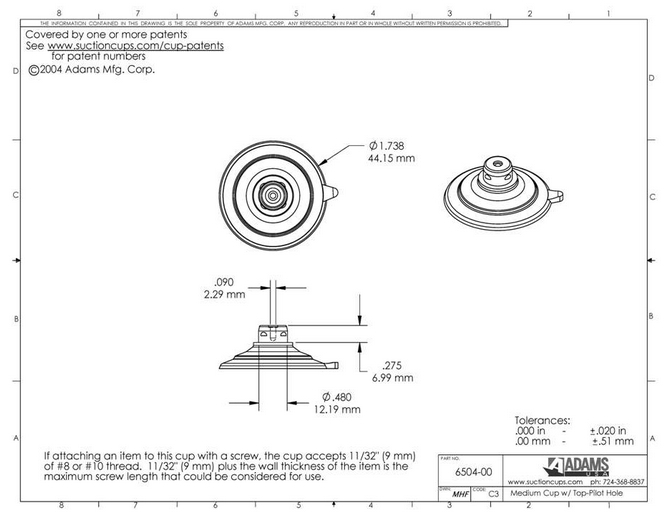 Adams Suction Cups that are 47mm in diameter are rated to hold 3 pounds (1.36kgs) in weight. Please read our weight ratings and technical page.